Airship 27 Productions is thrilled to be kicking off our new production year with the release of an old fashion western novel by veteran writer, R.A. Jones. Young Jason Mankiller never believed his surname was an omen of his future until the Civil War broke out and he joined the Union Army. Fate took to him the fields of Gettysburg. By the time the battle ended, he was sitting atop a small rise surrounded by the bodies of dozens of Confederate troopers. Days later, while drunk, his fellow soldiers had tears of blood tattooed onto his face. From that day forward, the Man Who Cried Blood’s reputation spread far and wide. Ten years later, Jason Mankiller is in Ft. Rogers, Texas, hoping to find a job and bury his past. But the blood tattoo won’t let him escape the gunfighter’s trail. Writer R.A. Jones delivers an old fashion western adventure in the grand tradition of Max Brand and Louis L’Amour. Here are pioneering men and women facing the birth of a new American destiny that will demand their blood, sweat, tears and sacrifice. For Jason Mankiller, that promise of a better life will be claimed at the end of a smoking gun. 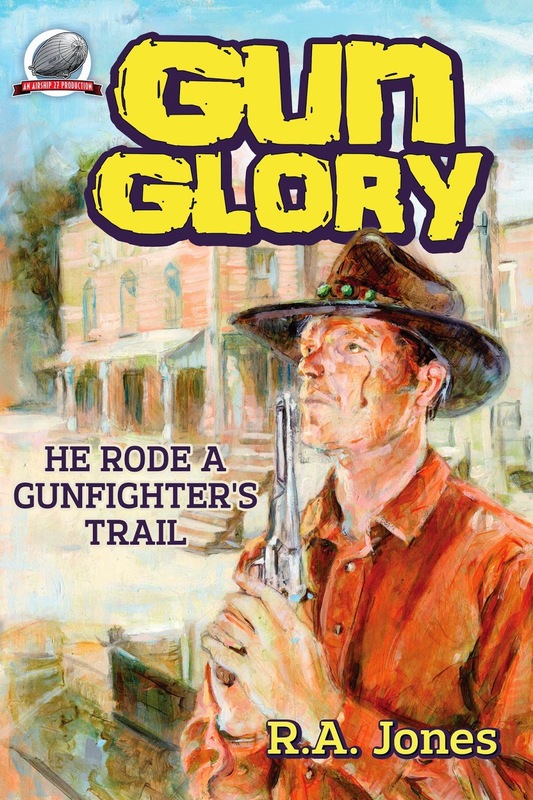 “Gun Glory” features a cover painting by Graham Hill and interior illustrations by Neil T. Foster, with book design by Airship 27 Art Director Rob Davis. AIRSHIP 27 PRODUCTIONS – PULP FICTION FOR A NEW GENERTION ! As an added bonus, Airship 27 Productions is including an eight and brand new, never before published adventure, “The Adventure of the Fading Light.” That makes this digital book twice the size of the regular volumes for the exact same price. 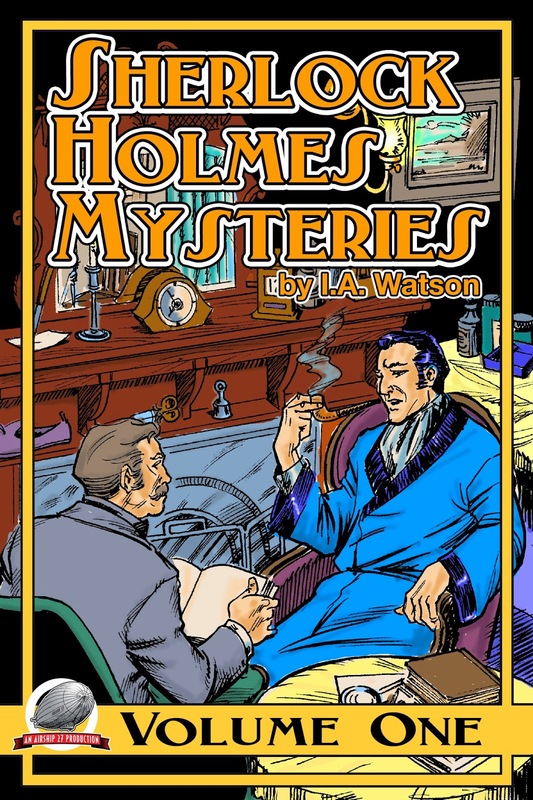 This Kindle collection also features all the original illustrations by Pulp Factory Award winning artist, and Airship 27 Productions Art Director, Rob Davis. Available only in Kindle here.